It seems the world of social media has gone crazy for superfoods, "strong not skinny" and a seemingly healthy way of living. However, recent articles in various newspapers and magazines, claim that the new batch of super fit and healthy ( and super good-looking) instagrammers are living lifestyles quite the opposite, in order to keep their followers interested. These people live on fashionable foods such as quinoa, kale, Acai bowls, avocado, and like to give the impression they've got it all. A recent article I read in Event, highlights that most food/health/fitness bloggers are not qualified in food science or nutrition, so what gives them the responsibility to give other people advice on social media about what we should and shouldn't be eating? Granted, some have taking courses or are training in some way, but the growing influence of these people, particularly on Instagram is a real cause for concern. More so when they also promote dieting methods in sponsored posts, the most popular being protein shakes or teatox style regimes. Being paid to pop them into a post is a dangerous responsibility, helping to persuade anyone who takes their advice to believe what they promote will really work for them. The power of the internet now means that anyone can write or promote anything that they want to, whether you're an expert or a complete novice in the topic. Whilst blogging about books or beauty is unlikely to affect people directly, particularly their health, fitness and health related topics need to be treated carefully. Our bodies have varying needs and while healthy eating is fundamental for everyone, methods to achieving it can be interpreted in different ways, ways which might not be necessarily right for your body. We have qualified dieticians and nutritionists for a reason, to provide expert and specific advice for our individual needs. We need to remember that social media can be useful, but also incredibly dangerous. People can be easily influenced, and I do not feel inspired by other apparent fitness "gurus". Nothing is ever completely what it seems, and their perfect and glossy lives on their feeds do not always hold true to their real lives. Happiness for me will never be found in a Nutribullet. Thanks for reading! 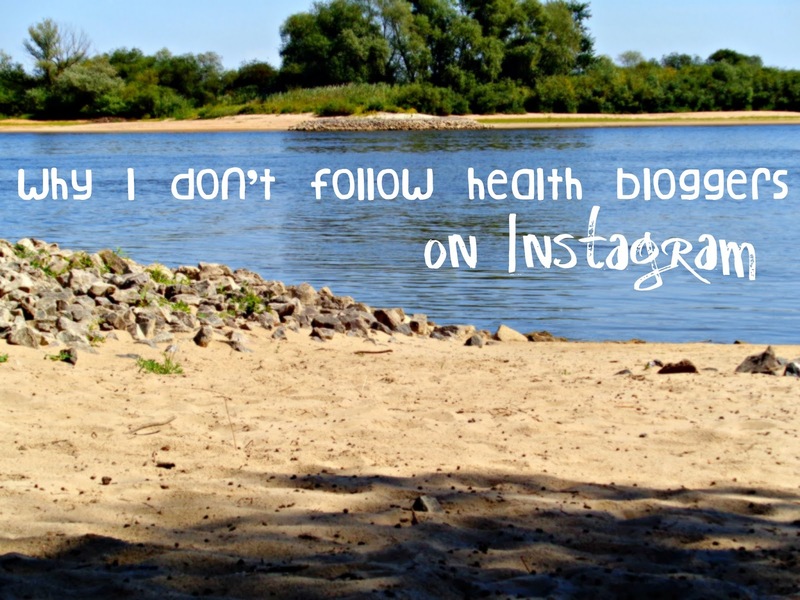 Do you feel inspired by health bloggers? Do they think make good role models? Such a good post and something more people need to read and take notice of. I have also done a post on the 'fitness experts' you see on social media - which is just as dangerous!